one thing i really can’t stand is when i’m seriously disorganized, so you can imagine how stressful college move-in day (or days in my case) is. the roomie and i are still decorating our rooms and after moving in over a week ago, finally managed to raise her bed. i’ve given up on mine… the one thing i do have some control over right now is my desk, and it’s officially becoming a crafting station, no joke. thank you martha stewart and staples for making this storage system, because it’s absolutely amazing. 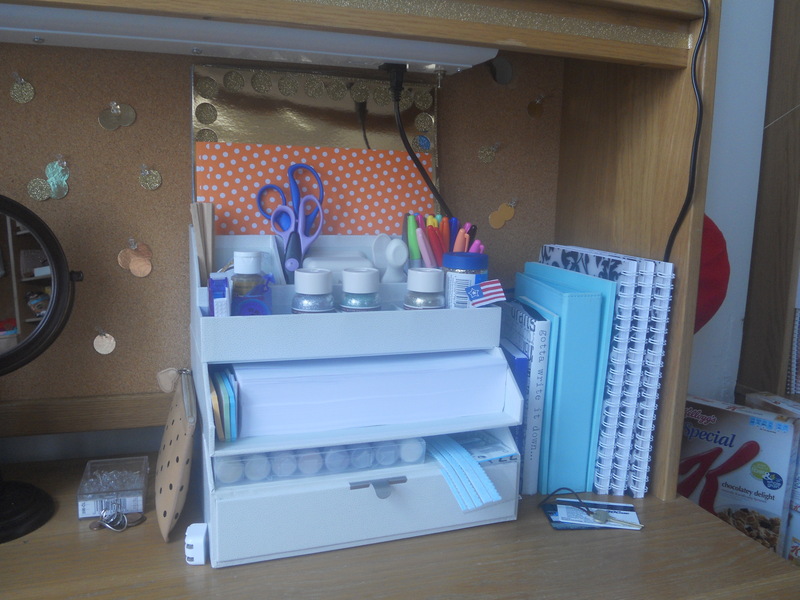 i have glitter, paper, stickers, pens, sharpies, glitter tape, and many other little diy supplies inside and they all fit!! i also put some confetti dots over my bulletin board for an extra little touch, and glitter tape along one of the wood boards. yeah, i may have a glitter problem, but it’s all good. 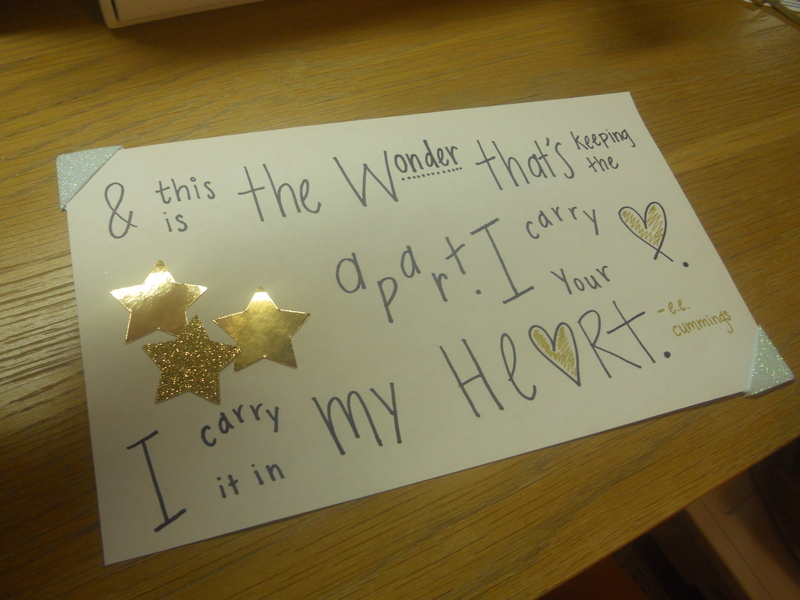 i made this the other day and put it below my paper source calendar, because number one: it’s my favorite quote, number two: i love how it turned out, and number three: it reminds me of home. 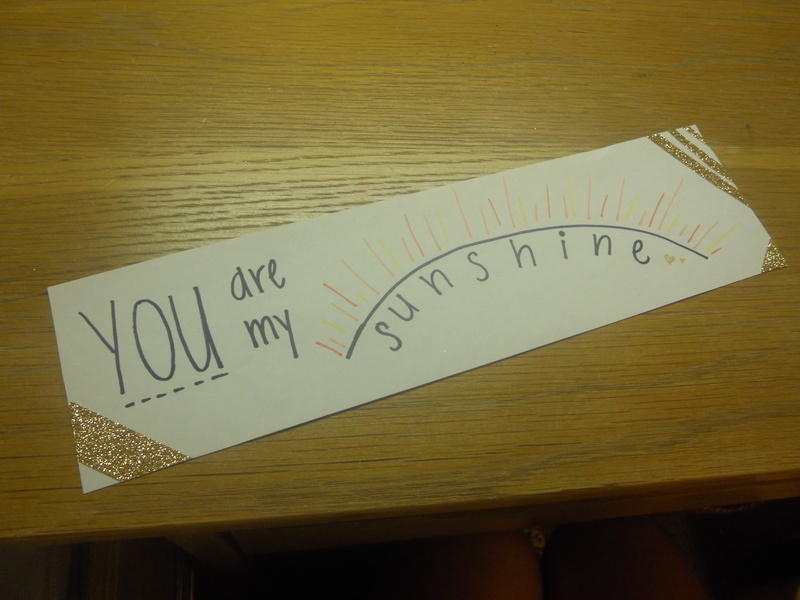 a cute little drawing for my roomie! 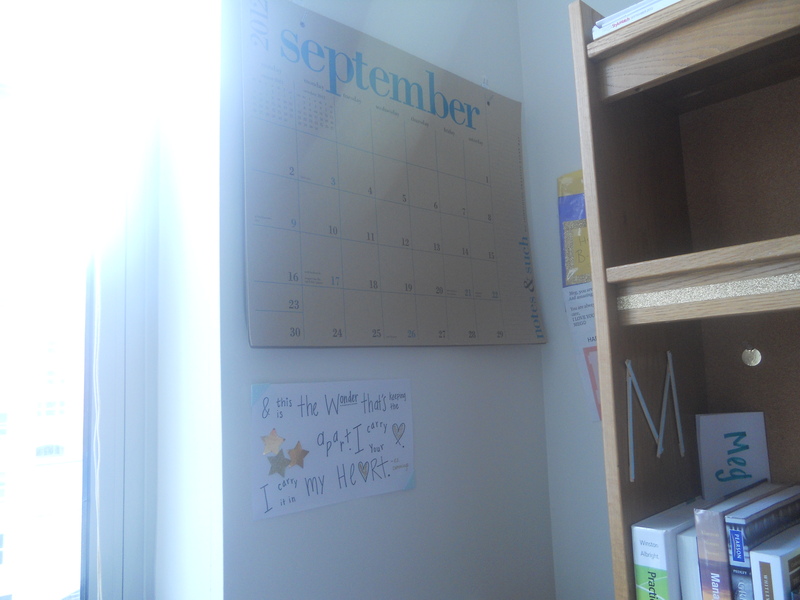 once the rest of my decorations are put up (probably by the end of this week) i’ll do a post on my dorm decor!